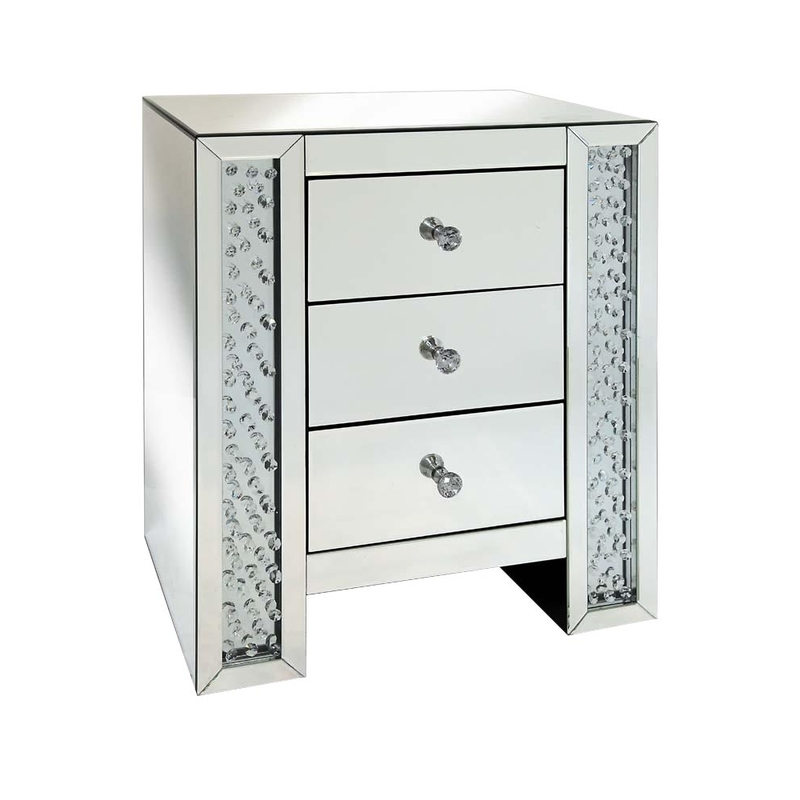 This is a beautiful bedside table which is part of the rhombus collection. This is a three draw bedside table which is mirrored. It has lovely detailing on the front of the bedside table which really brings out the elegance of these bedside tables. This is the perfect bedside table for you if you want something that is beautiful and has a simple design.